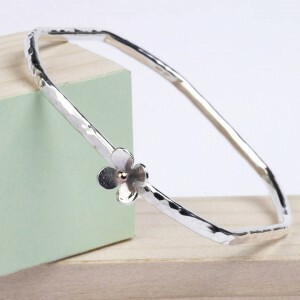 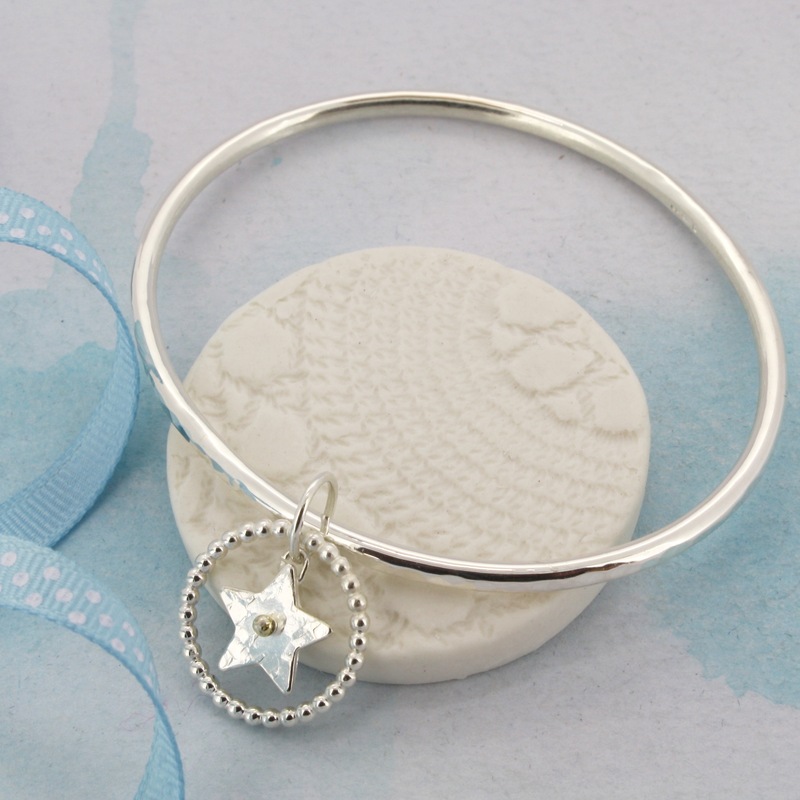 A chunky hammered silver bangle with a little textured star with rose gold centre handmade in Cornwall by Carole Allen Jewellery. 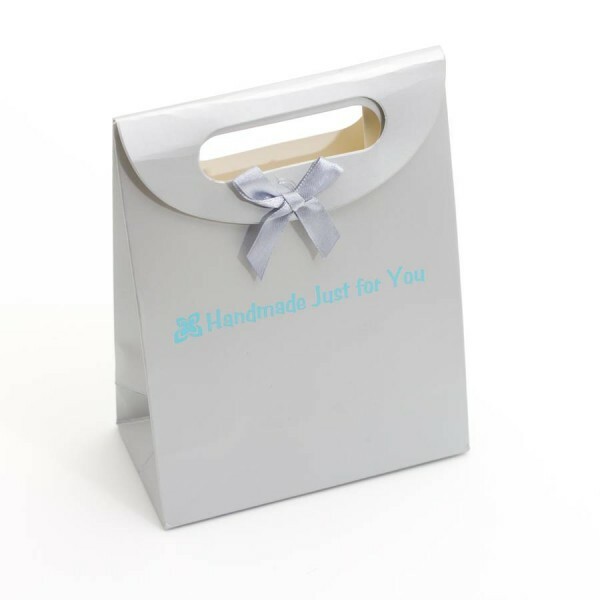 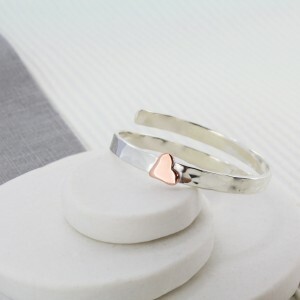 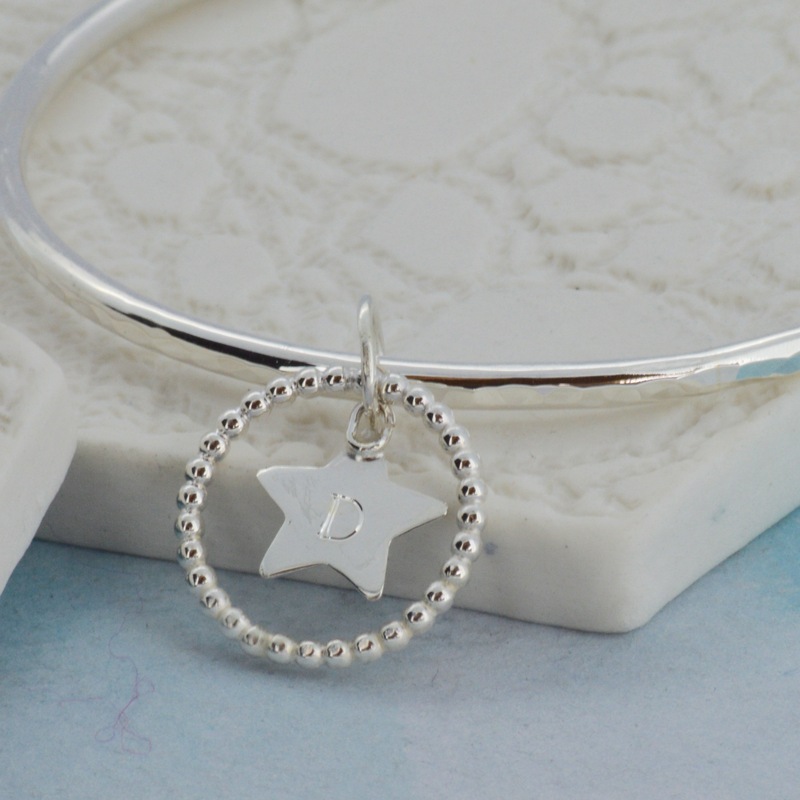 This personalised bangle is engraved on the back of the star with an initial of your choice. 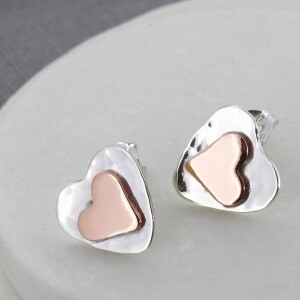 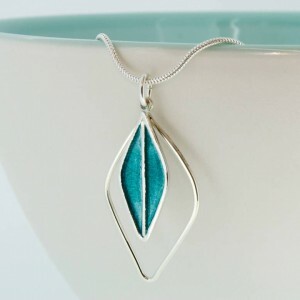 Made from chunky 3mm sterling silver wire.